It’s not every day we get to see what Saint West and Chicago West are up to. 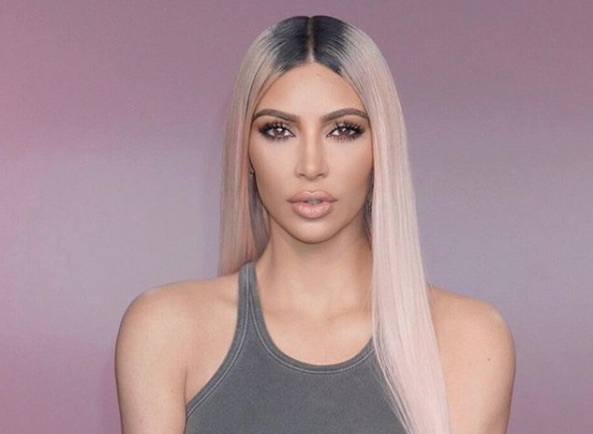 Even though Kim Kardashian is pretty open about her life and her kids, she still tends to keep her two youngest out of the spotlight. Well, all of that may be changing. On Friday, March 30th, Saint made a rare appearance on Kardashian’s Instagram Story when the family went to the zoo. Her followers went crazy for how adorable he looked watching the penguins. It’s like he’s grown up before our very eyes! Well, it appears Kim heard our pleas for more Saint. Because today, Saturday, March 31st, she shared a picture of him giving his baby sister Chicago West a kiss on the forehead. Aww. Add Kim’s simple caption, “He loves her so much,” and we’re totally in love. Kardashian has given us a few glimpses at Baby Chi before. We first saw her in Kylie’s pregnancy video back in February. Since then, she’s made a few smiley appearances on Kim’s Instagram. But this brother-sister pic may be the sweetest one yet. How cute are Saint and Chicago West?! We already knew that Chi was adorable. But somehow, every picture is cuter than the last. Those Kardashian genes are just too gorgeous. Keep the pics of Saint and Chicago West coming, Kim!